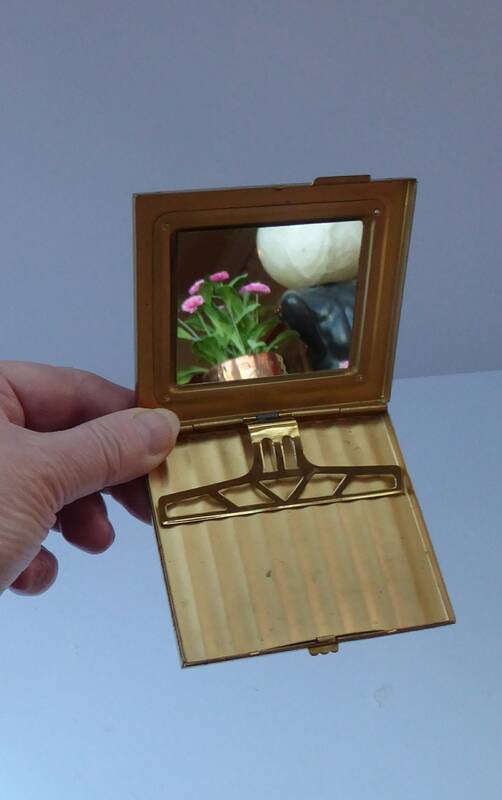 This is a lovely 1930s Art Deco Cigarette Case. 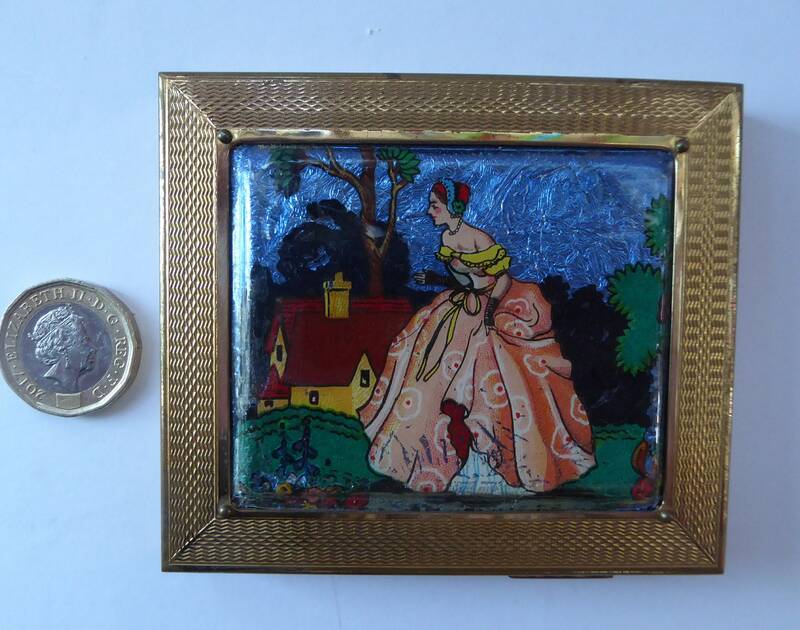 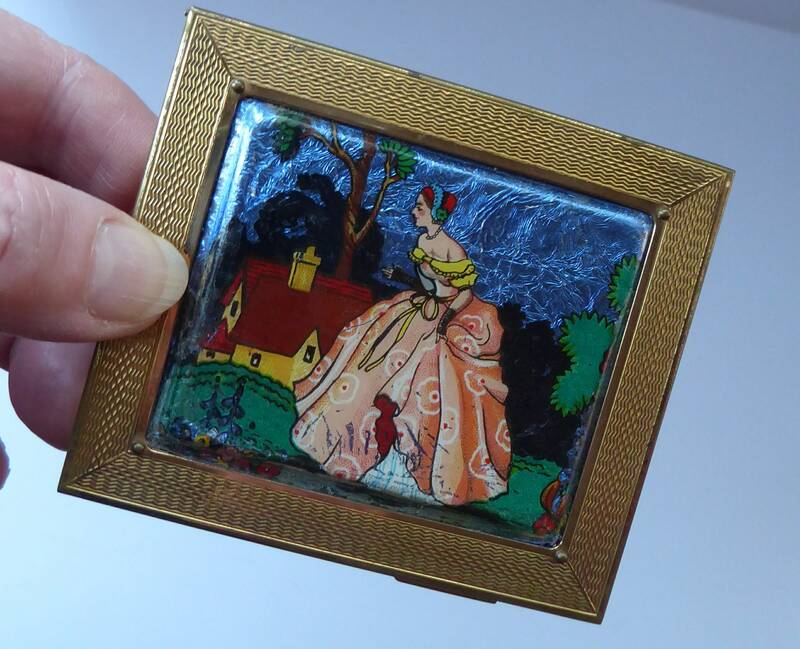 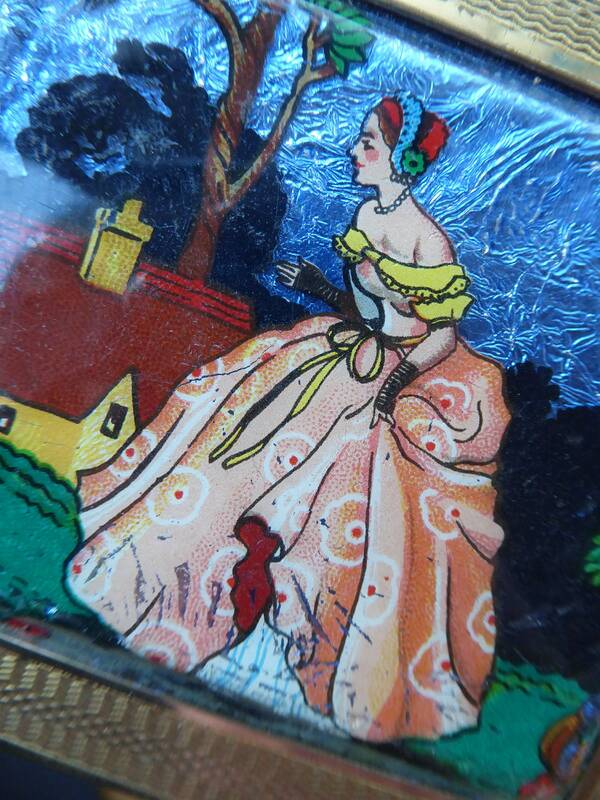 The lid is decorated with a lady wearing a Crinoline dress - she strolls in a garden. 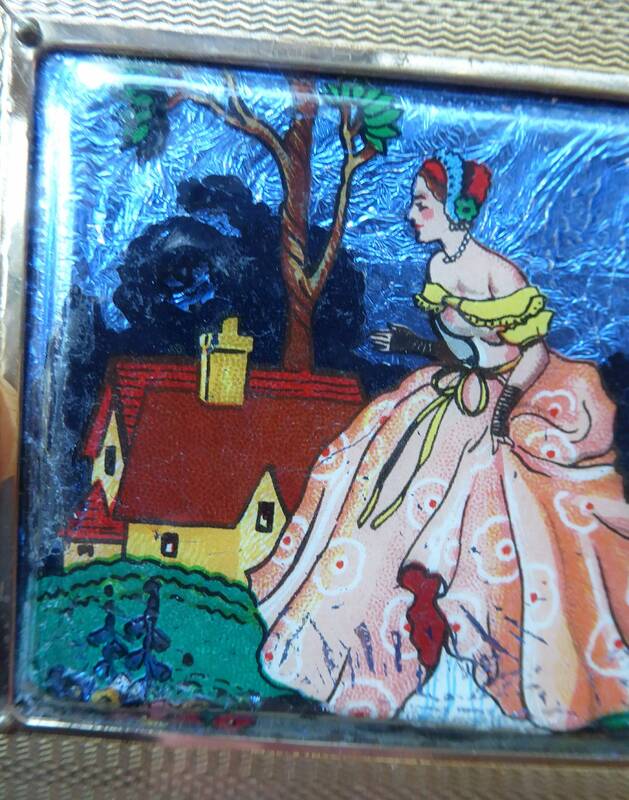 The sky is vibrant and made of a blue iridescent blue foil. 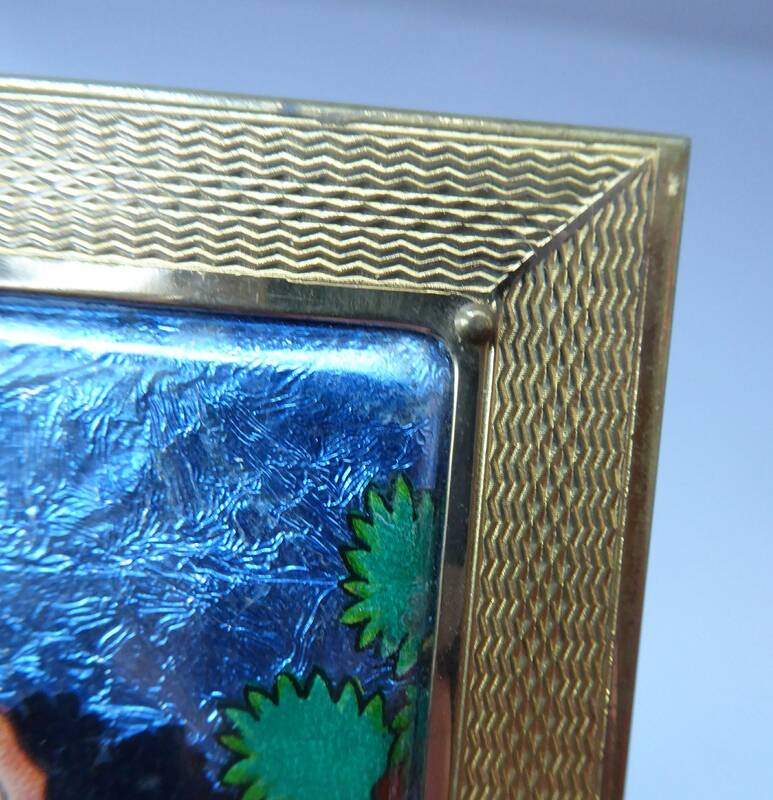 The base is a shiny gold tone and inscribed Gwenda. 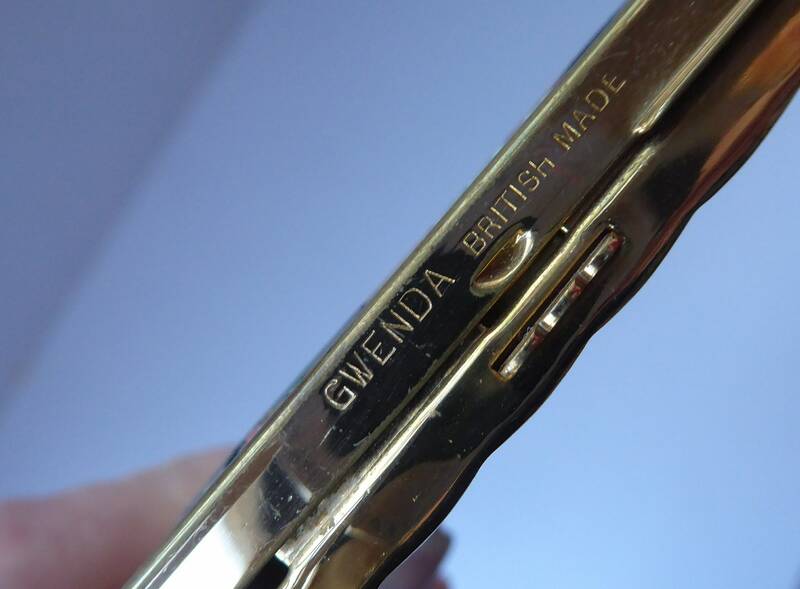 British Made just above the catch. 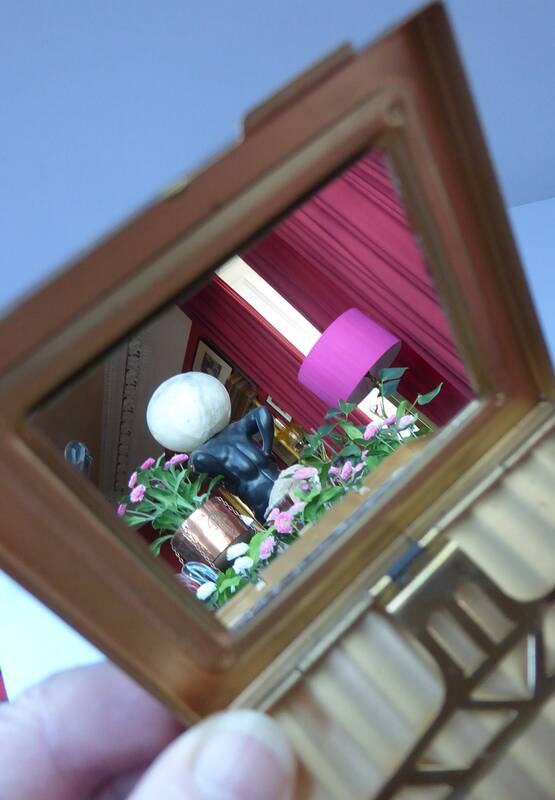 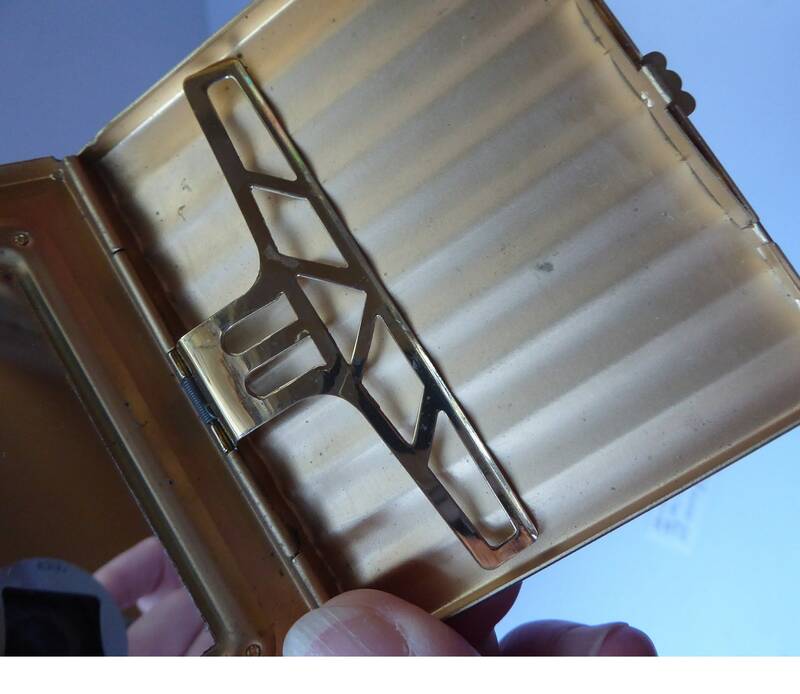 The interior contains a spring controlled arm for holding your cigarettes in place. 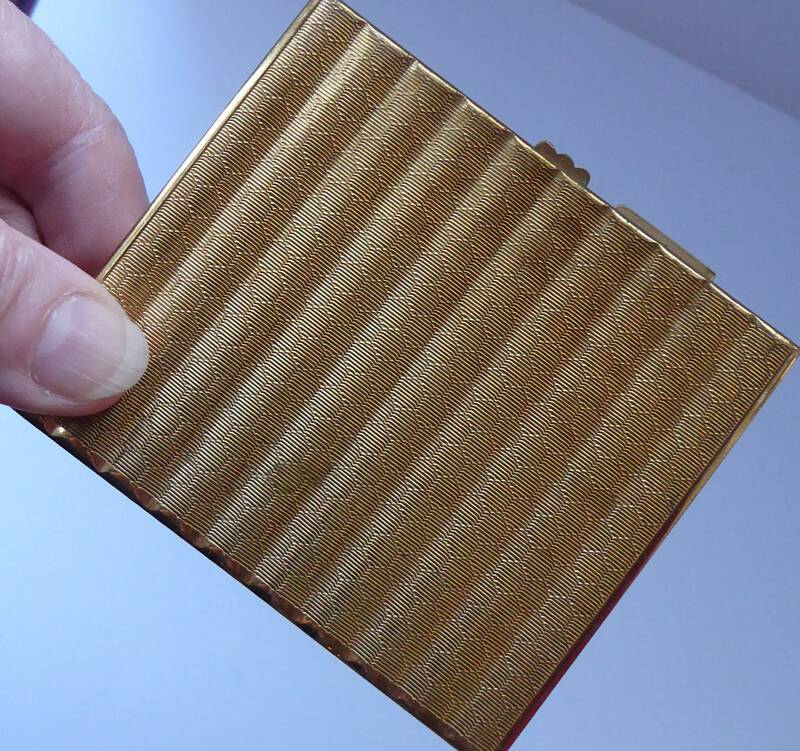 There are ten indentations for vintage cigarettes - these would have been much smaller than their modern counterparts.